Completed in 2008, the Brown Welcome Center is one of the most desirable gathering places of its kind in NW Ohio. 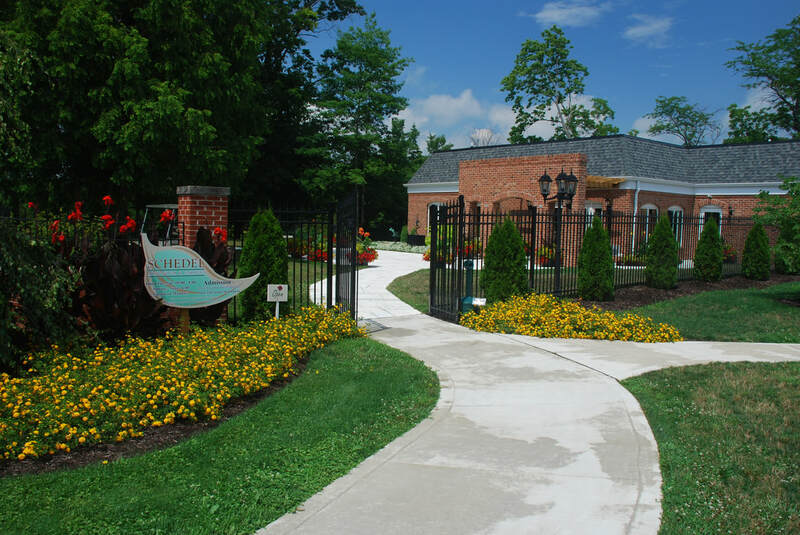 The center houses not only the administrative offices for the Schedel Arboretum and Gardens, but also a fine art gallery and banquet and meeting facilities for groups up to 100 people. With state-of-the-art audio-video capability, spacious meeting rooms, and breath-taking vistas, the Brown Welcome Center is the perfect venue for a wide variety of different functions. The Schedel’s referred to the manor house, which was built in 1882, as the “Museum.” This is where the Schedel’s collections of art, antiques, archaic bronze, antique carved jade, crystal and other fine pieces were displayed. Today the home still makes a formidable impression when entering the grounds and serves as a beautiful and stately backdrop to many of the vistas the gardens offers. While most of the collections were sold at auction after the death of Marie Schedel in 1989, portions are still on display and may be viewed during regularly scheduled tours of the manor house and summer cottage — Wednesdays and Fridays at 1:00 pm. The Schedels extensively renovated the home in the late 1960’s and it remains largely unchanged from that time. The home was furnished by the Schedel’s with American furniture and artwork, as well as treasures and antiquities from around the globe, including rare Persian rugs, Flemish tapestries and ornately carved furniture. The Schedel’s visited more than 120 countries in their travels as they continually added to their collections. 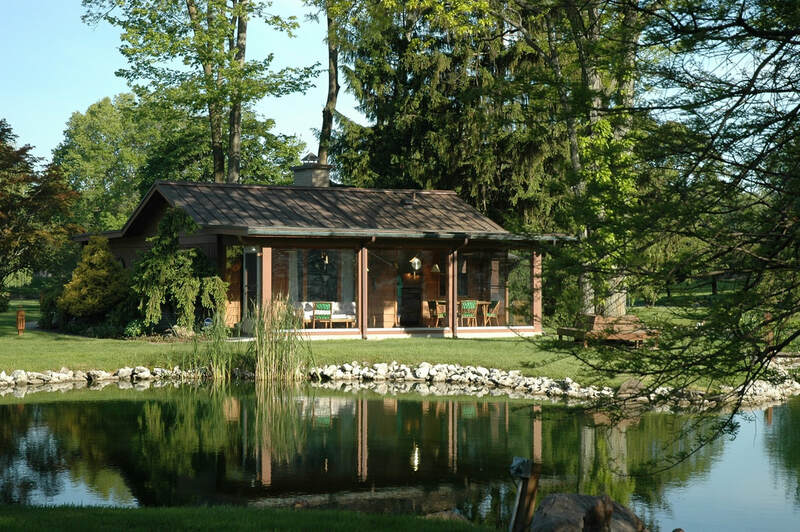 In 1959, the Schedel’s constructed what they referred to as the Shack along and between the 2 lakes in the lowland area. During the winter they spent most of their time traveling and in Florida so when they returned to Elmore for the summer, the Shack is where they spent the majority of their time. Like the Museum, the Shack also was furnished with items that the Schedel’s collected during their travels. This summer cottage has beautiful terra-cotta floors and cedar lined closets and features a very large bathroom with walk-in shower — quite uncharacteristic in terms of size for it’s day! Today the Shack is used for preparation by bridal parties prior to wedding ceremonies on the grounds. The Schedel’s oversized 4-car garage, was converted into what is now the Trellis Gallery in 2003. This gallery has become one of NW Ohio’s most unique galleries showcasing both professional and amateur regional artists. The facility is also available for intimate luncheons, meetings, church or social functions.